Real Estate and solid business insight are Matthew's genes. The son and grandson of residential real estate builders and developers, a passion for Colorado real estate was ingrained in him from an early age. Matthews passion and strong work ethic led him to his first job at a local title company. 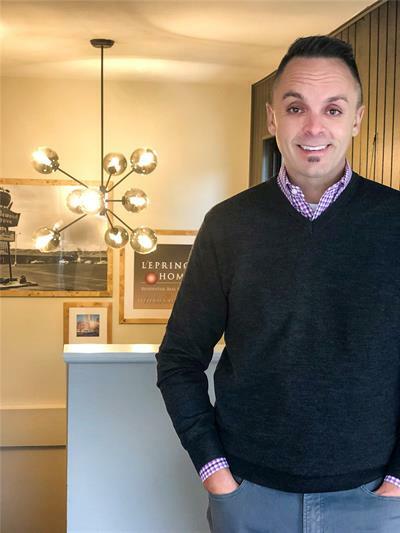 From there, his commitment grew and he went on to work in the Research Department of a commercial real estate firm, only furthering his understanding of the rapidly changing real estate market here in Denver. Matthew went on to study at the University of Denver and received his combined degree in both Real Estate and Marketing. Following his graduation, Matthew capitalized on a changing market and was employed by a prominent local firm as Transaction Manager, participating in the sale of up to 250 homes per year. Combining this extensive experience and education in the industry, Matthew founded Leprino Home in 2008.